Today we had a very special assembly. 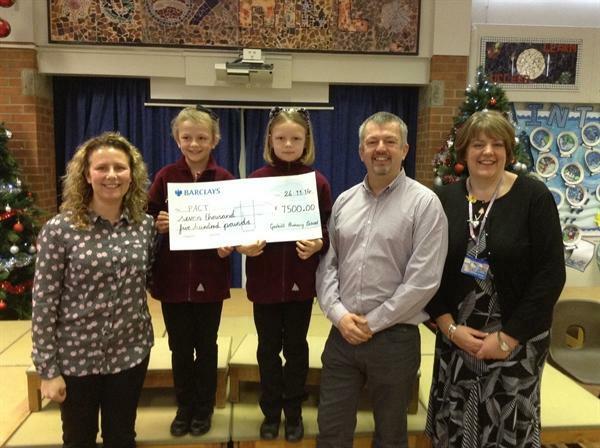 A cheque of £7,500 was presented to Rachel Ducker, (Sheffield children's hospital - PACT) for the monies raised by our school and families for Hollie. Barclays Bank have kindly match funded £1000, taking the total to an amazing £8,500!!!! The money will go to PACT - Parent's Association of Children with Tumours and Leukaemia. This charity provides essential services to children with cancer, and their families. A big thank you so much for all involved.